Feeling hungry? Check out these delicious spots to chill out and feed your belly before trying a tour or kicking off a night on the town. There are so many things we love about Burrito Loco: The massive half-kilo carne asada burritos! The tantalizing tacos! The hot n’ gooey cheesy quesadillas! The list goes on and on and is made even better by the fact that convenient location 50m from the hostel and the non-stop service means we can fill our craving for Mexican food any time, day or night! A staff favourite and located only 50m from The MadHouse, Jama Steakhouse is your best bet for delicious steaks and burgers. They have a great selection of cuts as well as tasty sides and salads. It’s also (dangerously) reasonably priced! Authentic, scrumptious, and affordable Italian cuisine is located conveniently across the alley from our door in the form of Adriatico Restuarant. 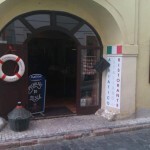 It has a warm décor, friendly service and great food. MadHouse tip: try the mussels in white wine sauce – delicious! 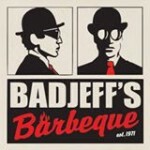 Newly opened in late 2014, Bad Jeff’s Barbeque has quickly become a staff and guest favourite for one reason: the RIBS! While you might be tempted by their other (delicious) options like brisket or pulled pork, you really can’t go wrong with a half or full rack of mouth-watering, fall-off-the-bone-tender ribs, which comes with garlic bread and your choice of two (two!) yummy sides like cheddar-jalapeno corn bread, truffle mac and cheese or smoked potato salad. Barbeque perfection!